We are a charitable trust to help the drive for improved standards in education in the Tiverton area. The Co-operative School Trust model enables schools to set themselves up as co-operatives, following co-operative values and principles and allowing those who are directly involved in them – parents/carers, staff, governors and learners – to become engaged in its long-term strategic direction through membership of the Trust. This will also allow other members of learners’ families and the wider community to become involved. 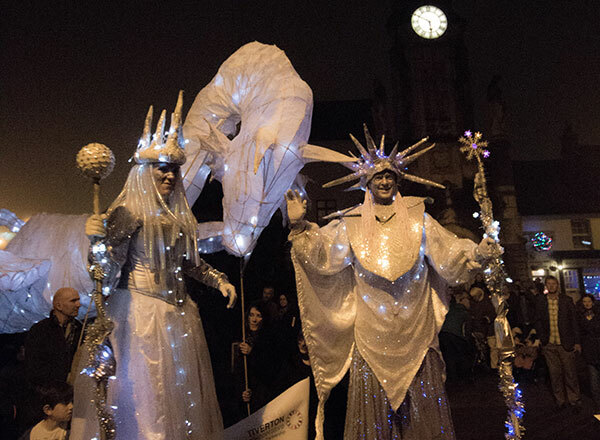 Part of Tiverton’s Christmas Light Switch on. Hundreds of local children made lanterns and marched through town, to end at Phoenix Lane when the lights were switched on. 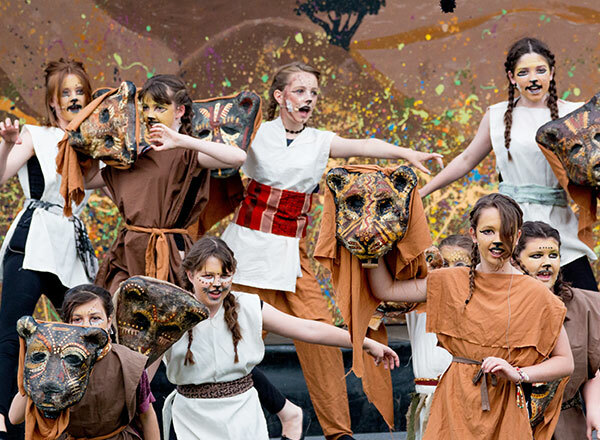 A summer event with performances by the students of Tiverton’s Schools and Tiverton Community Arts Theatre. 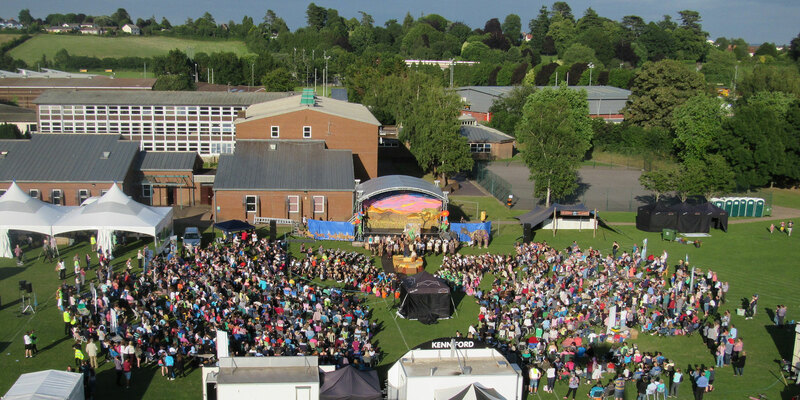 Part of 2RivTiv – over 3000 people saw the show over 2 nights outdoors on the grounds of Tiverton High School. All 11 local primaries and students from THS were in the cast of over 500 children. Looking for information on the Two Rivers Festival? “Whether you are already a Member of our Partnership or are visiting us for the first time, we hope you will see that we want every child in our care to experience success, happiness and academic excellence. I hope that you will find much to inspire and enjoy on our website. The rationale for becoming a Partnership, the contribution it will make and the direction it will provide has been based on a long history of collaborative working between the local primary schools, the High School and community and business organisations in Tiverton. The brief outline on the Vision and Values page will give you an insight into our reasons for change and the commitment we bring to this model of collaboration. We will work closely with a partnership of other local schools. Such as Bampton, Bickleigh-on-Exe, Rackenford and St John’s Primary schools, associate school member, Wilcombe Primary and PETROC College. Partners from business and community organisations. Such as Heathcoat Fabrics, Tiverton Community Arts Theatre, AcTIV and the Co-operative Movement represented by the Co-operative College. We believe that we are all responsible for all our children and so we cannot be happy until every school in the partnership is at least good.